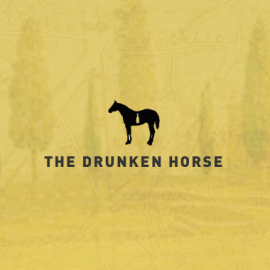 Nestled in the heart of Chelsea, The Drunken Horse is an artistic, gourmet wine bar offering an eclectic selection of wine and shareable plates. From exotic wines and beer to craft cocktails and spirits, we offer the finest drinks from around the world. Cozy up by the fire with your beverage of choice in our dimly-lit, gorgeous wood and brick interior. We also serve a fantastic selection of Mediterranean Fusion tapas. 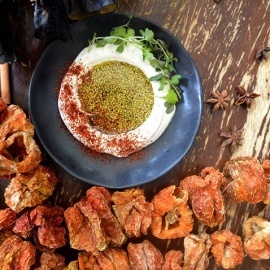 You'll find a wide assortment of cheeses, charcuterie, and signature mezes like our famous AVOGANNUSH and LABNE ZAATAR. Not to mention, our HUMMUS is the best in New York City.We only have one special desert called POACHED PEAR with red wine sauce and cotton candy. Join us with friends and family for an unforgettable evening!